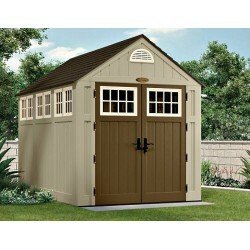 The Suncast 7x3 Sierra Resin Shed is the smallest of the Sierra Alpine series and offers the same charm as its bigger brothers or sisters. 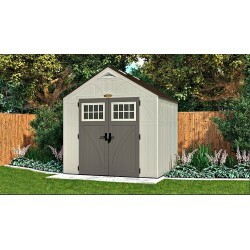 Featuring 1 transom window on each door the façade of the 7x3 looks the part and will sit well in any backyard. 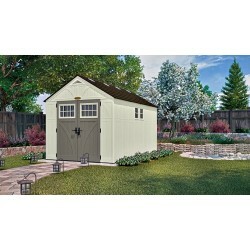 The Alpine shed is constructed with a wood grain textured, durable double wall resin. 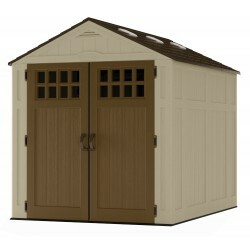 This is a strong and robust material that will not crack or splinter. 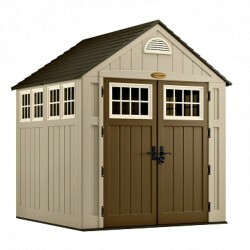 Unlike wood, it will not rot or mildew over time. 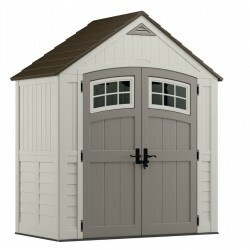 This shed is maintenance free and will hold its colour, hence no painting required.The roof is metal reinforced with a construction grade overhang, which further enhances the traditional look. 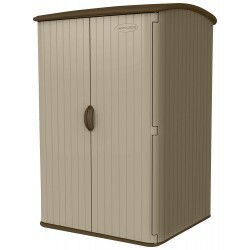 In addition to having a transom air vent for ventilation, the Sierra comes with a robust resin floor that is reinforced and will keep your contents off the ground safe and dry. 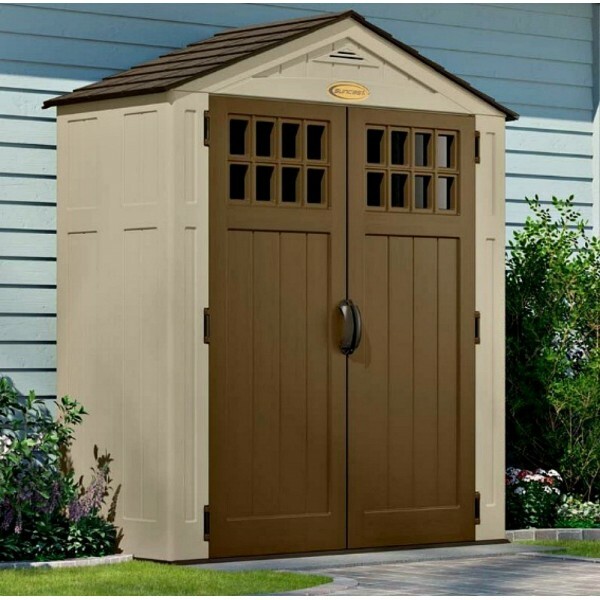 Access is maximized by two strong pull out lockable double doors, each door is hung with 4 heavy metal hinges offering greater protection and keeping your items safe and secure. 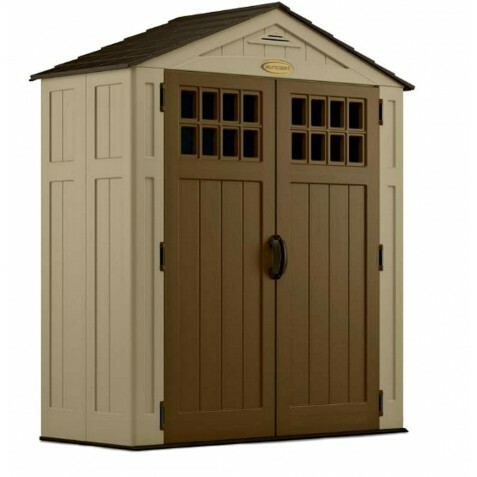 Exterior Size: 80"x 33.75"x 88"
Interior Size: 69.5"x 28.75"x 86"
The Suncast Tremont 8x16 Storage Shed BMS8160 is one of the most elegant storage solutions available. 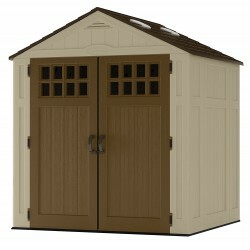 It features rugged construction, a spacious interior and a wide double door opening and steel-reinforced, double-wall resin walls for extra durability. 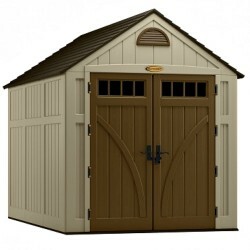 Suncast Tremont model BMS8135 is a quality resin storage shed perfect for your backyard. 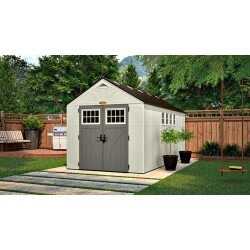 It features a wide door opening and steel-reinforced, double-wall resin walls for extra durability. 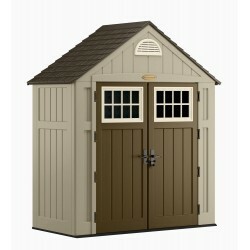 It has a reinforced floor to support heavier items such as a full-sized snow blower or ride-on lawn mower. 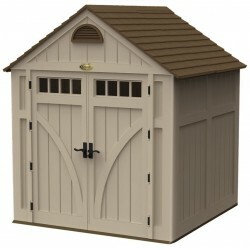 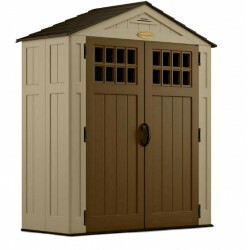 This Suncast Tremont 8' x 13' Shed is sure to meet all of your storage needs. 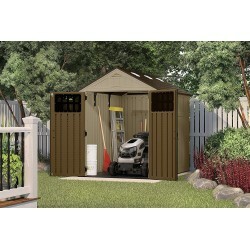 This shed features a sturdy tractor-tread reinforced floor for storing riding lawnmowers. 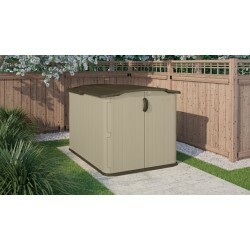 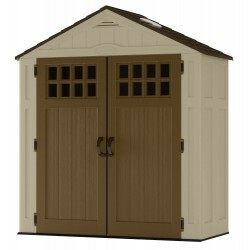 The Suncast 8' x 10' Shed, Vanilla can be used to store a variety of gardening equipment and other outdoor supplies. 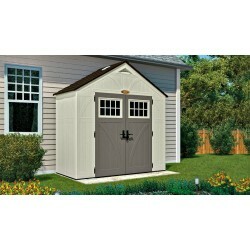 It features a wide door opening and steel-reinforced, double-wall resin walls for extra durability. Add additional storage to your backyard with the Suncast Alpine Shed. 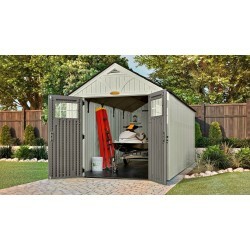 Perfect for storing power tools, gardening equipment, pool supplies and much more, this Suncast shed will fulfill your storage needs.